Is Your DIY Acne Remedy on the "Won't Work" List? The Internet is full of "advice" and tips on every subject, and acne is no exception. Just one Google search can provide limitless DIY acne treatment tips and remedies. This is when it becomes most vital to do your research and rely on information from trustful and responsible sources because there are many DIY remedies that not only DO NOT WORK but may even make your skin condition worse--regardless of what anyone claims. Allow us to provide you with the TRUTH about some of these DIY miracle acne tips and treatments. The rumor is that multi-purpose glue can and should be used to cheaply remove blackheads from your nose. Regardless of what the glue may remove or not (including the skin from your face) by using this "tip," you are not only risking irritation, sensitivity and infection, but all those chemicals may lead to increased oil production and simply end up causing you more acne and additional skin issues. Just don't do it! Check out this green clay extraction mask instead. The rumor is that quitting your daily skincare regimen will cure your acne. That means no water and no cleanser for your face. The idea behind this "DIY practice" is that once you stop washing your face, your sebum production will start to normalize. 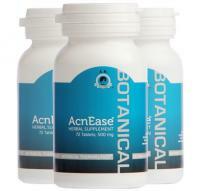 First of all, acne is the external manifestation of an internal imbalance. So regardless of what you do to your skin from the outside, the internal imbalance will still exist and will still need to be treated. And while it's true that washing your face too often can lead to increased oil production, not washing it at all will allow both dead skin and bacteria to build up faster and further clog your pores and possibly cause serious lesions and cysts. You don't have to go caveman to avoid stripping your skin of its natural oils. Simply use a gentle cleanser twice a day, one that contains no over-drying ingredients such as salicylic acid or alcohol. Another rumor claims that dissolving aspirin into a salicylic acid paste and applying to your face is a good way to clean out your pores and fight bacteria. The problem is, salicylic acid is a keratolytic and has many negative side effects; there is also a recent FDA warning about it, especially for young teens and pregnant women. Frequent and long-term use of salicylic acid may cause a number of side effects such as skin redness and irritation, dryness and premature aging, and even problems such as dizziness, headaches, nausea, vomiting and diarrhea. There are also concerns about pregnant women using products with salicylic acid. Medical professionals are divided as to how much the use of salicylic acid can affect an unborn baby. Many health care professionals recommend that pregnant women stay away from any cosmetic products containing this chemical since it will get absorbed into the bloodstream when used on the face and/or body. You're better off sticking to a natural skincare regimen and avoiding salicylic acid altogether! That said, there are SOME DIY tips that may actually help you treat existing pimples while you work to treat your acne from the inside. It's true. You really can exfoliate your skin naturally and effectively with food. One of our favorite recipes features papaya. 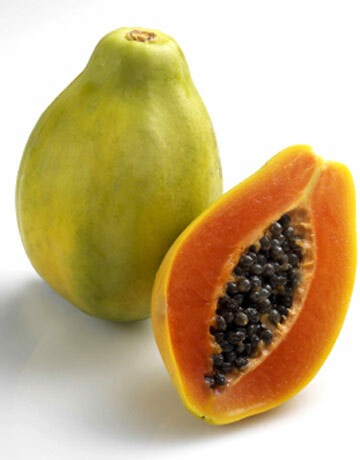 The papain enzyme in papaya is helpful in removing dead skin cells that may mix with sebum and cause acne pimples. Simply puree half a cup of fresh, ripe papaya (peeled and diced), then combine with one teaspoon of honey and two drops of rose, geranium or primrose essential oil. Apply to clean face and rest for 15 minutes. Remove with warm water and pat dry. It's true. A fresh pot of strong chamomile tea can do wonders for your skin. After you've cleaned your skin, and before you moisturize, applying a non-harsh yet effective astringent cleans, tones and firms the skin and also constricts the pores. Most astringents dry out the skin, which again, will make your acne worse. But chamomile has anti-inflammatory and anti-bacterial properties, and when applied topically, chamomile can help reduce inflammation associated with acne, razor bumps or irritation. Simply brew 3-4 chamomile tea bags (or 2 handfuls of the dry plant) into a very strong tea. When cooled, splash or use on a cotton pad all over your face twice a day. Keep the leftovers in the refrigerator, but use or discard in two days. It's true. The bark and leaves of witch hazel are astringent; the extract, also referred to as witch hazel, is used medicinally and helps in reducing inflammation and irritations. Simply dip a Q-tip in witch-hazel and apply to pimples. (No rubbing! Just dab on the pimples for 3-4 seconds). Remember though, even if you use DIY tips that may help assist your symptoms, you still need to treat your acne from the inside to break the acne cycle once and for all. To figure out the type of acne you have and the best treatment for it, check out this quick and easy system. Our clients find it is an enormous help!